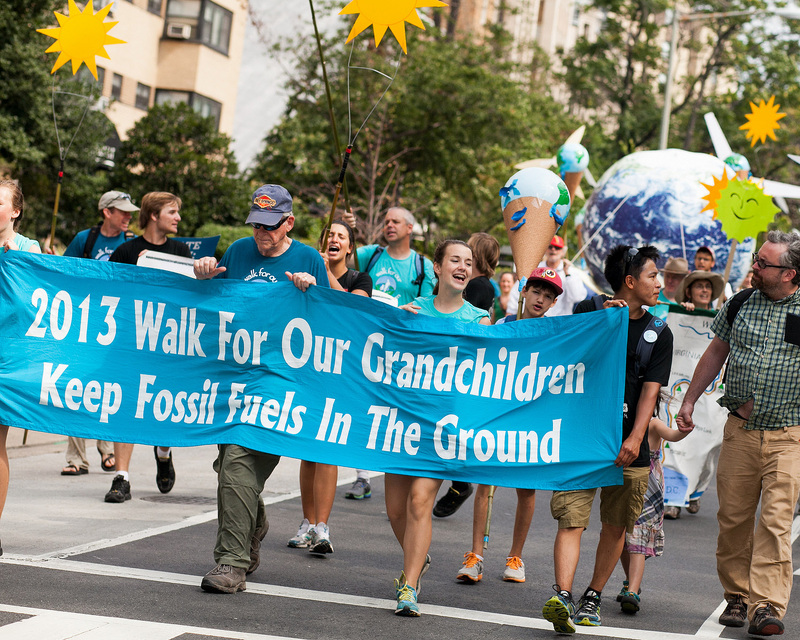 The 2013 Walk For Our Grandchildren Continues! As you know, more than one hundred of us participated in WFOG in the summer of 2013. 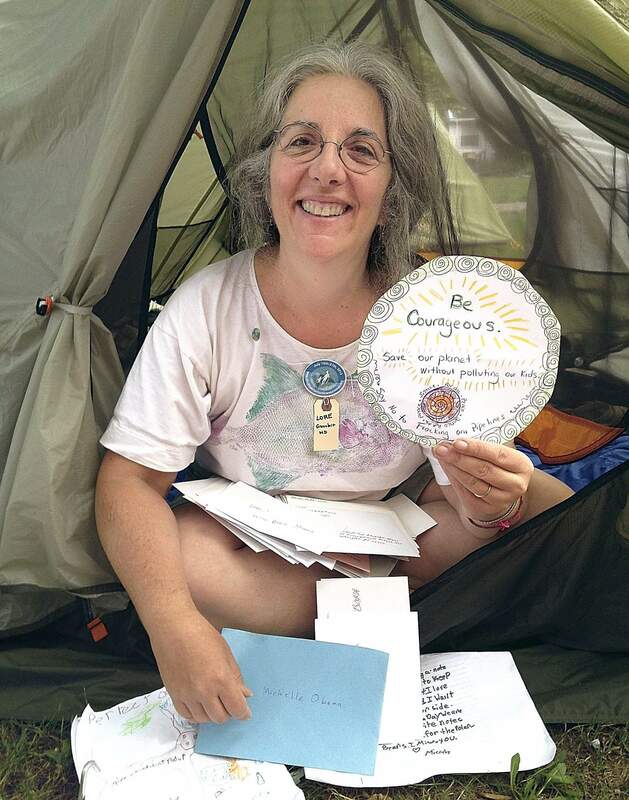 Over ten days and one hundred hot miles, we brought our positive message about confronting climate change from Camp David in Maryland to President Obama at the White House. Just before the culminating rally at the White House, many of us detoured to take nonviolent direct action at the offices of Environmental Resources Management. Together we helped shine a light on the inadequacies of the State Department’s consideration of the KXL permit. 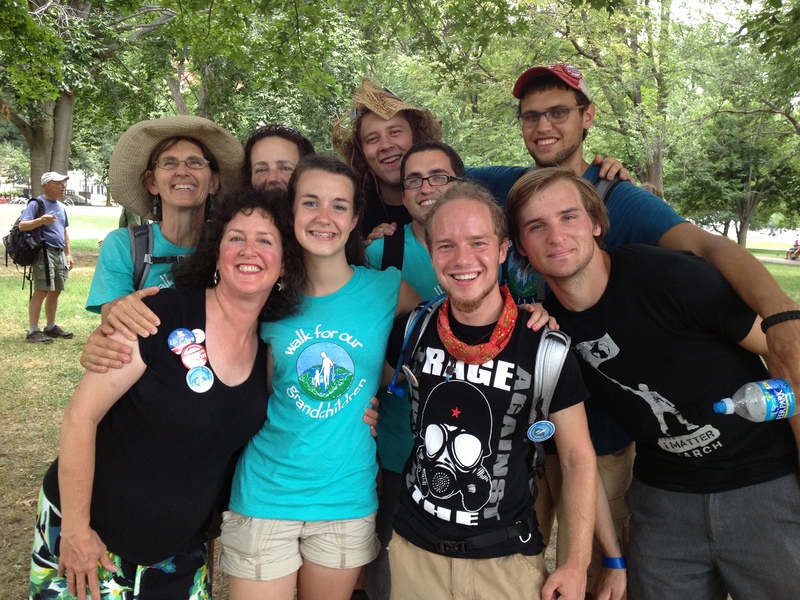 The following summer in July 2014 several of us reunited on short notice to support CCAN and others in their demand that the Federal Energy Regulatory Commission (FERC) not permit liquified fracked gas exports from Dominion Resources’ Cove Point terminal in Maryland. 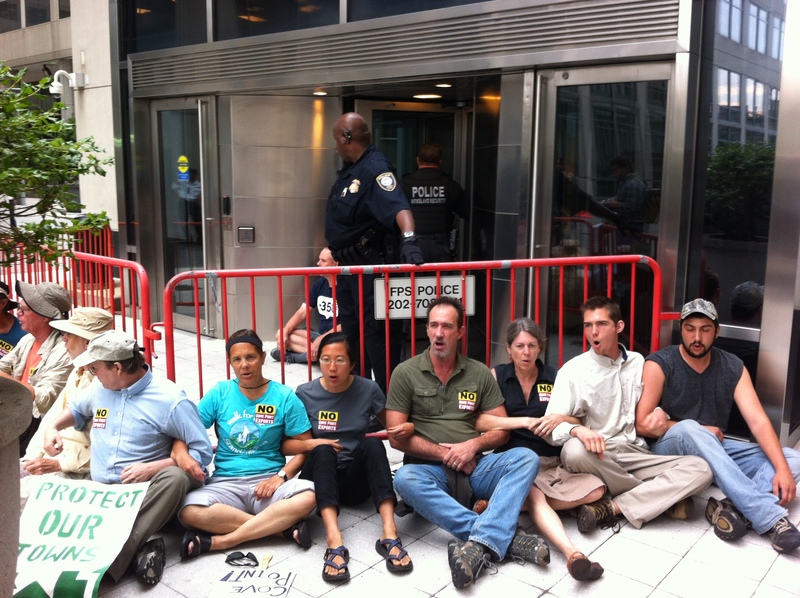 Following a rally and march of more than one thousand people on July 12, twenty-five of us returned to FERC the next day for a nonviolent sit-in occupation. 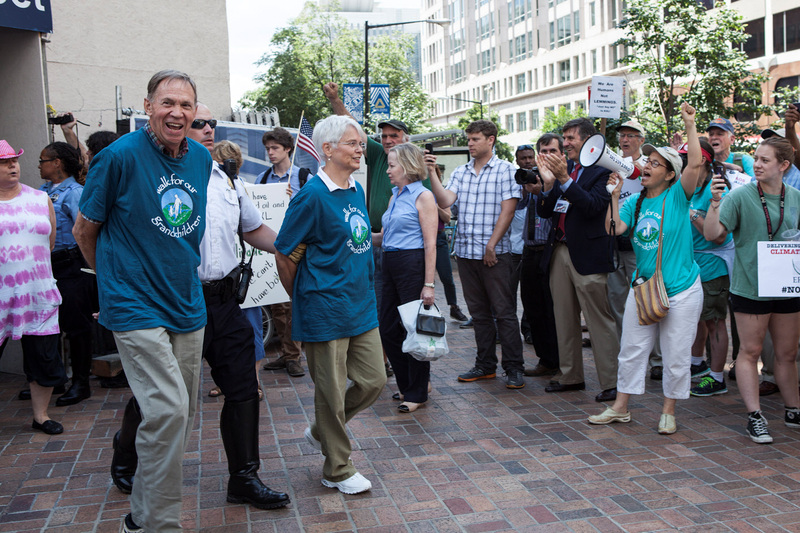 The gravity of the Cove Point situation led us and others to recognize that FERC’s role in permitting LNG export, compressor stations, and gas pipelines called for a significant escalation in tactics. In September we added our strength to a new coalition of activists and front line communities which we decided to call Beyond Extreme Energy. 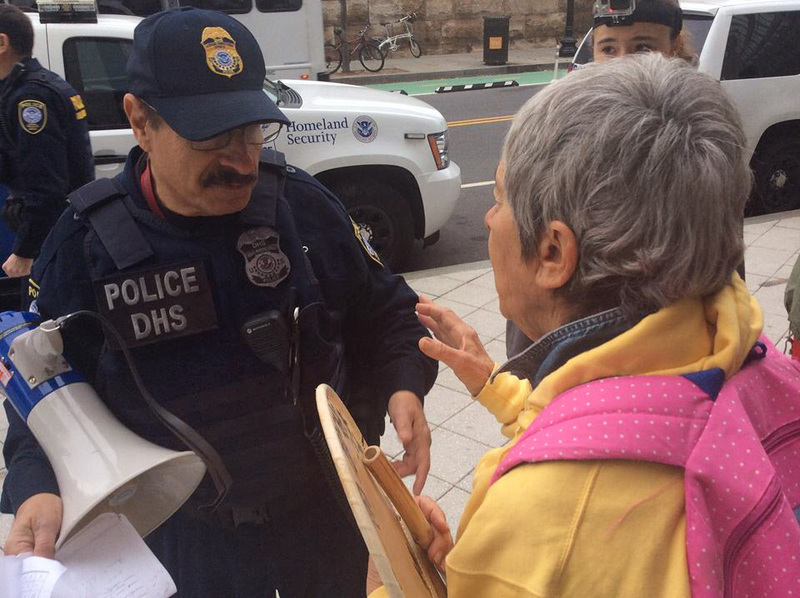 Working quickly, we organized and pulled off a successful week of actions in early November 2014 at FERC and other DC climate-related targets. You can read Ted Glick’s excellent account of this amazing week here. But even then we weren’t finished! We next joined with local activists to create We Are Cove Point. 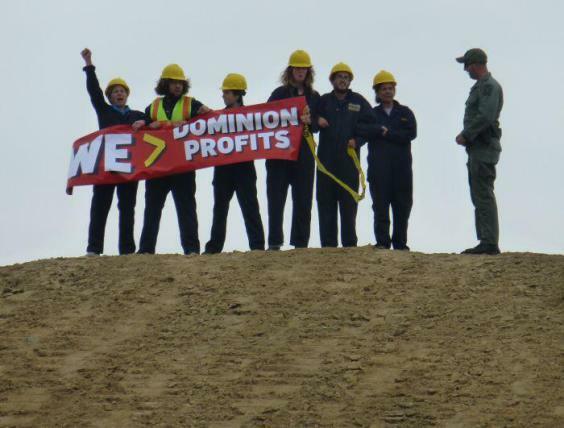 In early December we staged a series of actions in Lusby, MD to put Dominion Resources on notice that their export terminal is not going to be built. Over the next few months We Are Cove Point raised more than $20,000 from small donations and hired an excellent and experienced organizer, Donny Williams. This year and the next, we intend to do the impossible and stop a multi-billion dollar LNG export terminal from being built. Still breathless from 2014’s fall campaigns, we nonetheless entered the new year running at full speed. We’ve been active inside and outside of Washington, pushing hard on WFOG’s central demand to “keep fossil fuels in the ground!” And it’s having an effect. FERC’s own chair, Commissioner Cheryl LaFleur, has publicly admitted that the groundswell of activism has created a new “situation” in which no new additional fossil fuel infrastructure goes unchallenged. And that’s true. In a matter of weeks, FERC is going to feel the heat again. Several of us were talking recently about the Walk after hearing from an old friend. Do you remember Lillian Marotta (Lily), the student from New York? She’s about to graduate from college now and enter the Peace Corps. But before she goes, she’s going to reconnect with us at BXE’s spring action at FERC. We’re looking forward to it and we’d like to see you there, too. WFOG is a stream that now has flowed into a larger river of actions, connections, and relationships. It’s amazing how durable–and useful–the friendships we formed in the summer of 2013 have proven to be. Dozens of us who did not know each other before the Walk now find ourselves working together daily. Please consider this your invitation to reconnect with old friends. You can help in a significant way this May to pressure reform at FERC and stop the onslaught of new fossil fuel infrastructure–and we hope you will. But beyond that, we’d love to just see you again! Feel free to poke around on our website to get a sense of the work of BXE and our upcoming actions. And if you have any questions, feel free to call me at 828 206 5502.